All these poems are so well rendered. 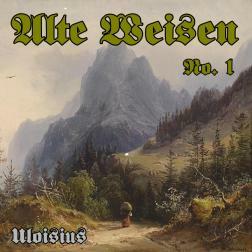 I discoverd with Uloisius the musicality of German poetry. This is a fantastic discovery and a wonderful album. You can always discover a lot of poetry in this great album! Uli is an artist who be able to merge poetry and music in an excellent way to a wonderful result!! If you like older poetry you will love this album!! All thumbs up! I'm one of a fan of your warm deep voice, your singing always tell such a wonderful stories, and even you sang your song mostly in your language, I still can have a great time listening and enjoying your song. Thank you for sharing your music Ulo & everyone in album made fantastic music here. Unfortunately, I'm not familiar with the german language but I've discovered it in this place and I hear the words in a different way now even if I still do not understand them.